As we get older and the kids have all grown, it is not uncommon for us to want to re-evaluate our living needs and downsize into a smaller home. In other cases, our kids may have moved away, and we want to move closer to be near our grandchildren. Whether we are moving locally or long distance, residential moving can be more challenging for seniors. We are not as active as we used to be, and the thought of carrying boxes or lifting furniture may be well beyond our abilities. Yet that does not mean we cannot have a successful move. 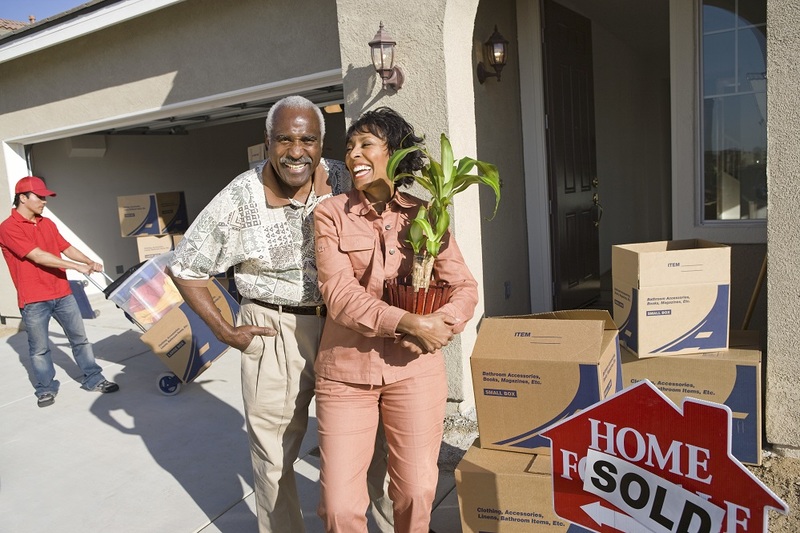 You just need to prepare and plan well in advance and use these great moving tips! Communicate with your children. If you haven’t told them you are moving, make sure to do so. It doesn’t hurt to get their help if they want to help you move. Get rid of anything you do not need or want. Now is a good time to clear out excess clutter and belongings you have not been using and no longer need. You could have a garage or yard sale and use that money to help pay for the move. Any items that are left over? Donate them to a local charity. Hire a professional mover. You will want to start obtaining moving quotes as soon as possible so you can get your choice of moving company. Hiring a professional could offer added perks and options, like our moving concierge services, which include professional packing and unpacking services. Plus, your mover may be able to haul away anything you don’t want and deliver it to charity. Get a storage unit for items you cannot part with but which won’t fit in your new home. If you have mementos and other items like your children’s school pictures that you simply cannot part with, you can put these into a controlled storage unit for safe keeping. Pack at your own pace. If you are doing your own packing, work at it a little at a time. Set packing goals that will ensure you will be all packed come moving day. For instance, you could set a goal to pack two to three boxes each evening. Do not pack your medications. If you are on any medications, you will want to keep these out. On moving day, put them into your purse or a backpack that you’ll move yourself. Take breaks as needed. On moving day, things will be busy, with movers loading and unloading the moving truck. If you feel like you need to take a break, do so. There’s no reason to push yourself. Your movers are doing all the heavy lifting and hauling. Have your movers set up furniture in the location where you want it to go. To avoid injuring yourself later, your movers are more than happy to put your bedframe, mattress, dining room table, and other heavy furniture pieces exactly where you want them. Unpack essential items first. You will want to make sure your bed is set up and you have access to kitchen items so you can cook and eat. For further tips on senior move planning or to request a free moving and storage quote, please feel free to contact the proud movers of the Chicago Cubs, Midway Moving & Storage at (800) 300-0002 today!